programs for students with special needs and those in low-performing schools, virtual schools, and magnet schools. 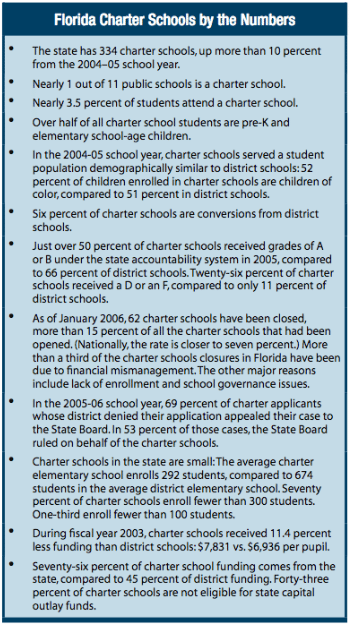 But among all the programs, none has reached as many children and families as charter schools. In the 2005-06 school year, there were over 300 charter schools in 42 of the state’s 67 school districts. The schools served nearly 100,000 students, about 3 percent of the state’s public school students.